The KBS drama “The Slave Hunters” has won the Grand Prize in the category of Hallyu drama, which was a newly established award from this year, in the Seoul International Drama Awards 2010. The organizing committee of the Seoul International Drama Awards held a press conference in the Seoul Press Center on August 20 and selected the Grand Prize winner among Hallyu dramas, and “The Slave Hunters” was ultimately chosen as the best Hallyu drama. 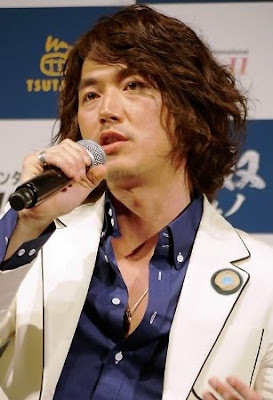 The actor Jang Hyuk, who appeared in “The Slave Hunters,” and the actor Lee Byung Hun, who appeared in the drama “IRIS,” were chosen as the best actors. “The Slave Hunters” was also awarded in the category of best director (Kwak Jeong Hwan PD), so the drama made the achievement of winning three awards. Actress Ko Hyun Jung in the MBC drama “The Great Queen Seondeok” and Han Hyo Joo in the SBS drama “Brilliant Legacy” were awarded as the best actresses. 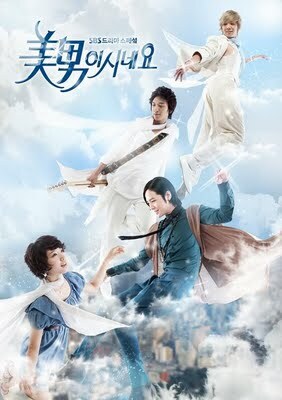 And the writers of “The Great Queen Seondeok,” Kim Young Hyun and Park Sang Yeon, won the Best Writer awards. 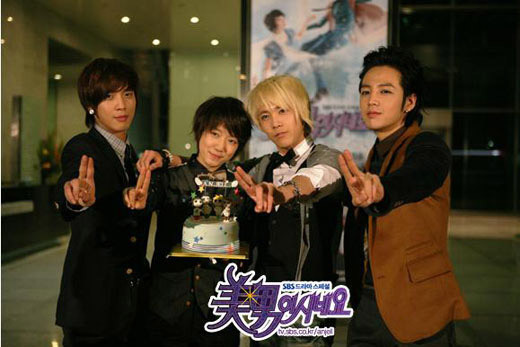 The organizing committee had first decided the nominees among dramas airing from April 1, 2009 to April 30, 2010 (excluding dramas aired in the morning time) considering the recommendations from the Corea Drama Production Association, the Korean Television Actors Association, and the Korean Radio & TV Writers Association, and then they thoroughly examined those selected nominees, which had been exported to more than ten countries, and finally decided the award winners. The Seoul International Drama Awards, the awards ceremony for dramas all over the world hosted by the organizing committee of the Seoul International Drama Awards and the Korean Broadcasters Association (president Kim In Kyu), is now in its sixth year since its opening in 2005. The largest number of dramas ever -- 172 dramas from 43 countries -- were entered in this year’s awards. The award ceremony will be held at the KBS Hall on September 10 at 6:35 pm. The awards will be presented by being categorized into the Drama Category, which specify awards for Single Drama, Mini-Series, and Drama Series, and the Individual Category, which will select the Best Director, Best Writer, and Best Actors and Actresses. The Jury’s Special Awards will also be presented. A drama is about to tackle the topic of the presidency. Korean dramas about politics and historical stories had featured the president mainly as a background character so far, but these days the president has been the protagonist of a few mini-series dramas in a row, and the president has suddenly stood out as a “popular job” in dramas. SBS TV’s new drama “Dae Mul,” which will begin airing from October, and KBS 2TV’s new drama “President,” which will begin airing from December, are stories of politicians who run for the presidency. Both dramas will focus on the process to run for the presidency, and the stories happening after being elected as the president will be unfolded as well. To be specific, the presidential candidate will be the main character, and in the process of running for the presidency, the dramas will portray the job of the president itself and the lifestyle of the president from various angles. The drama “Dae Mul” has cast the actress Ko Hyun Jung as the female protagonist and tells the story of the first female president, and the drama “President” has cast the actor Choi Soo Jong as the protagonist. ◇Showdown of Korean and Japanese original cartoons - Is a former human rights lawyer the ideal president? Both dramas will be produced based on the original cartoons. The original cartoon of the drama “Dae Mul,” which has the same title and was written by Park In Kwon, tells the story of the first female president of Korea. The former prosecutor Seo Hye Rim runs for the presidency and becomes the elected president after a circuitous path. The drama “President” is based on the Japanese cartoon writer Kaiji kawaguchi’s cartoon entitled “Eagle.” Even though the original is a Japanese cartoon, it deals with the election of the US president because Japan has a prime minister system instead of a presidential system. This drama will be about the protagonist named Jang Il Joon who will run for the presidential election in 2012 for the election of the 18th president of Korea. As both dramas deal with the presidential election, they will naturally discuss the type of ideal president, and it is very interesting to find that both dramas have chosen human rights lawyers as the protagonists. The character Seo Hye Rim in “Dae Mul” was initially a prosecutor who fought against social evils, and she decided to resign from the prosecutor position after taking the responsibility for arresting a "heavy hitter" who had been the de facto power behind political gangs. After that, she starts to work as a lawyer and gains popularity as a human rights lawyer, and she decides to run for the presidency based on her popularity as a human rights lawyer. The character Jang Il Joon in “President” is the brightest man who had come from an ordinary family and had been accepted by a prestigious university, majoring the law. In the university, he participated in the student movement during the Yushin regime and came to have a new dream. He gained a good reputation as a human rights lawyer and ran for the National Assembly, and finally succeeded in becoming elected as a member of the National Assembly after his third attempt. After that, he runs for the presidency to create a whole new country where there will be no conflict among people with different ideologies, regional sentiments, and social class. ◇"Telling a story about the President is no longer taboo.” - Before these two dramas, the movie “Good Morning President,” in which the actor Jang Dong Gun appeared, had been a hot topic by setting the president as the protagonist last year. In “Good Morning President,” three presidents, played by Jang Dong Gun, Lee Soon Jae, and Ko Doo Shim, presented humane characters with wit. The movie had shown comical stories about the president, but these new dramas will have more of a political tinge by describing the process of running for the presidency, which is actually a "battlefield without gunfire." That is, those dramas will deal with the president more actively. Production staff members all say that there is no other job as attractive and dramatic job as the presidency. The bellwethers of the change have appeared gradually. In the drama “Lovers In Prague,” the female protagonist, played by the actress Jeon Do Yeon, was a daughter of the president, and the drama presented the humane relationship between father and daughter. In the drama “City Hall,” the male protagonist, played by Cha Seung Won, was a politician dreaming of running for the presidency, and at the end of the drama, the protagonist actually ran for the presidential election. 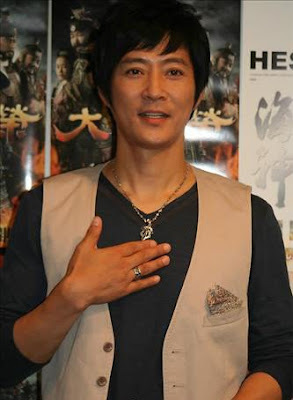 In addition, in the drama “Boys Over Flowers,” actor Lee Jung Kil played a doctor who was once the president of Korea, and enabled viewers to look at the ordinary life of the president after his presidential term. In the drama “IRIS,” the president agonized over the fight against a terrorist organization. 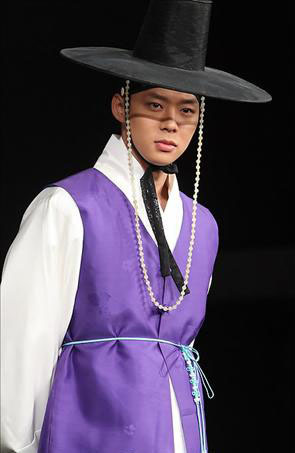 The section chief Park Jong added, “The drama ‘Dae Mul’ will tell a story about the presidential election, but the elements of the melodrama will also be highlighted, so as a whole, the genre of the drama will be the fusion of melodrama and political drama.” In “Dae Mul,” an attractive politician named Kang Hyun Suk and a former Casanova named Ha Ryu will star and be involved in a love triangle with the female presidential candidate, and the love story between them will be covered with much importance. BoA to make special appearance in TV series "Athena"
Korean pop star BoA will be making a special guest appearance in the spin-off of last year's blockbuster drama "IRIS," according to her agency SM Entertainment on Wednesday. SM announced in a press release that in upcoming action drama "Athena," BoA will be playing the role of a top female singer who will be faced with a hostage situation by terrorists before her concert, while being protected by her bodyguard Jung-woo (played by Jung Woo-sung). BoA's scenes for "Athena" will be shot in mid-August and go on air after the show's premiere in November on major broadcaster SBS. "Athena," featuring other cast members Cha Seung-won, Soo Ae, E Ji-ah, and Kim Min-jongChoi Si-won of idol group Super Junior, will be about terrorist acts and threats against the Korean Peninsula and the whole world. The drama finished filming on location in Italy last month and will continue on into Japan, New Zealand, Singapore and Switzerland. BoA does not have any previous acting experience but was recently cast as the female lead in a Hollywood dance film which will be written and helmed by famed screenwriter Duane Adler. Filming for the dance flick will begin early next year in the U.S.
BoA made her singing debut at the age of 13 and known as the first Korean artist to make a breakthrough into the Japanese music scene. She made her comeback to the Korean music scene for the first time in five years with her sixth studio release "Hurricane Venus" last week. A scene from “My Girlfriend is a Gumiho.” Singer-turned-actor Lee Seung-gi and actress Synn Min-a will appear in the upcoming drama “My Girlfriend is a Gumiho.” The 16-episode romantic series about a stuntman-wannabe and a legendary fox with nine-tails starts airing tonight at 9:55 p.m. on SBS. Television fans all recognize singer and actor Lee Seung-gi for his perfect guy-next-door image with a sweet smile and attractive personality but can he pull off a stuntman wannabe university student who has a thing for mysterious creatures? The makers of the new drama "My Girlfriend is a Gumiho’’ (working title) would want a yes for an answer, as he is matching up with actress Synn Min-a and aiming to create yet another successful romantic drama series for television viewers. "My Girlfriend is a Gumiho" is like a gift box: It has funny, heartwarming and even heartbreaking elements all in one shot. We are all sure the series will be able to offer a bit of happiness to viewers,’’ Bu Seong-cheol, the producer, said during a press conference last week at SBS headquarters, in Mok-dong, northern Seoul. The storyline is simple: Cha Dae-wung, played by Lee, accidently wakes up the legendary gumiho, or the nine-tailed fox, that seeks revenge and lives on human flesh and livers. Surprisingly, the fox/human is nothing like the legendary character that appears in ghost stories, but a cute and clueless girl who prefers hanwoo, homegrown cattle beef, and is searching for true love with a man who will love her despite her haunting condition. Lee, not knowing what to do with the gorgeous "monster,’’ helps her along her journey of soul searching and looking for love and discovers his true feelings for her. "The gumiho in the drama is so innocent and pure that she seems a bit dumb. It was hard for me to act because it was a character I have never experienced,’’ Synn said. It will take a bit more than effort to perfectly bring out the role assigned to her, as Synn is better known as an advertisement star here, complete with the looks, body and charms. She may have appeared in various dramas and films for the past 12 years since her debut, but it’s hard to pinpoint a memorable character or work that establishes and highlights her acting career. Amid the ongoing worries and criticism, the 26-year-old admitted her lack of acting experience on both the small and big screens. "I may have been criticized for not being fully devoted to my acting because of the numerous commercials I worked on, but that’s something I will have to develop and prove to viewers in the future. I hope to break that stereotype of me through 'My Girlfriend is a Gumiho,’’’ she said. Fellow actor Lee will also have to break from his usual image of being the ultimate good guy in order to transform himself into a true actor. He started out as a singer in 2004, but he was given the chance to prove his versatility through the popular drama "Brilliant Legacy’’ (2009, SBS). 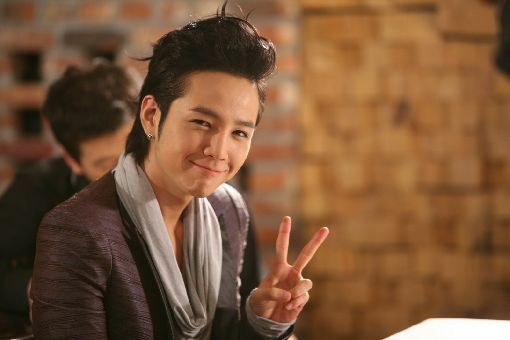 From there, he became one of the most sought after commercial star and hosts, appearing in various ads for home appliances, beverages and clothing brands and hit shows such as "One Night Two Days’’ (KBS) and "Strong Heart’’ (SBS). "I was not the one and only person who made the popular shows popular. The most important thing was teamwork and I think I was lucky in that area. 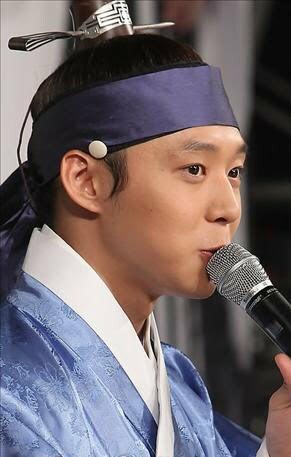 I think this drama will also be a success as we all have great teamwork,’’ he said. Teamwork will be needed, indeed, but will Lee be able to bring something new to the table aside from his signature smile and smooth emceeing, and try to work on his overall acting for a change? 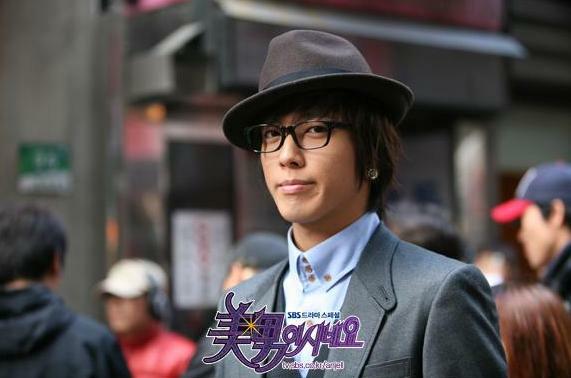 "I believe I’m not the only one who wants to discover a new image of me, something completely different from the old `Lee.’ My previous work for `Brilliant Legacy’ was a bit more serious than this one and I will do my best to bring out a more comical and cute character this time,’’ Lee added. Written by the writers for hit soaps such as "My Girl’’ (2005, SBS) and "Couple or Trouble’’ (2006, MBC) Hong Jeong-eun and Hong Mi-ran, the drama will hopefully reach to the top as a trendy and fun soap with catchy characters. The 16-episode "My Girlfriend is a Gumiho’’ starts airing tonight at 9:55 p.m. on SBS.